With nonstop service to 9 cities on 4 different airlines. 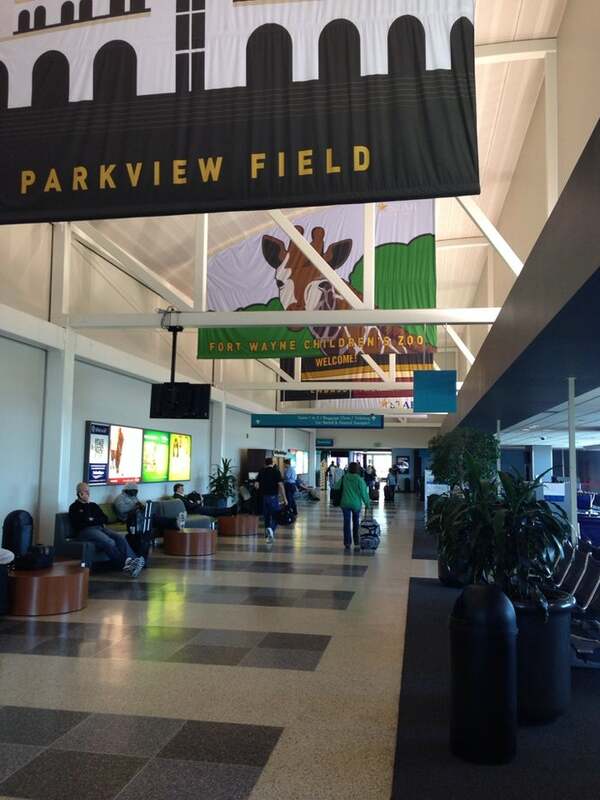 FWA is the airport of choice for flyers in Northeast Indiana, Northwest Ohio, and South Central Michigan. Fort Wayne International Airport is domestic airport located in Fort Wayne, Indiana , United States and serves domestic and rare international flights to 28 different destinations, connecting Fort Wayne, Indiana with United States and Canada. The most popular destinations to fly to from Airport are Atlanta, Chicago O'Hare International Airport, Detroit Metropolitan Wayne County Airport, Minneapolis-Saint Paul International Airport and St. Petersburg / Clearwater, St. Petersburg / Clearwater International Airport . The longest flight you can take is to Dallas/Fort Worth International Airport (2:33 hours) . Carriers such as Delta Air Lines, American Airlines and KLM have regular flights to and from Airport.